Below is a summary of where funds from the Foundation have been used so far as well as a list of what scholarships and awards have been created in Drake's name. The Foundation donated just over $18,000 to Maple Grove Elementary/Jeffco Schools to send the 6th grade students to Outdoor Lab. 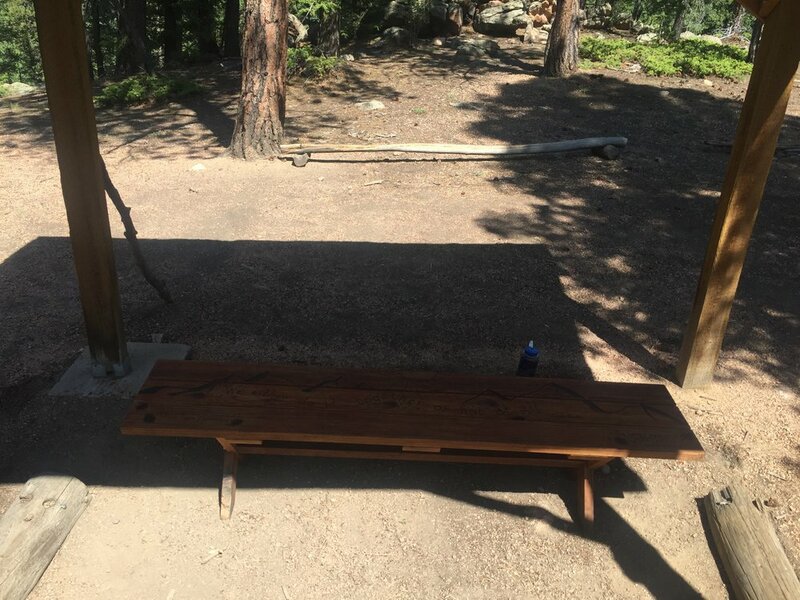 The students and staff at Outdoor Lab built a beautiful bench in honor of Drake. It has recently been moved to the top of Geology Trail at Windy Peak near Bailey, CO. The Foundation donated $2,000 to the Maple Grove Elementary Music Program to help with the costs and to encourage students to participate in music. The Foundation donated $3,000 to the Ralston House to help fund their Hero's Party. This event recognized the bravery of children who have been affected by abuse. In 2016 Maple Grove Elementary created the Drake Durkee Character Award. This award will be presented to a student who has exhibited hard work, a great attitude, and great character at graduation/continuation each year. The Drake Durkee award was given to Gwyneth Fick. The Drake Durkee award was given to Nate La. Daniel Durkee, Drake's father, spoke at the event. Ed McCaffrey (a former Denver Bronco) has created a $1,000 scholarship in Drake’s name to attend his football camp each year. Golden Basketball has created a scholarship in Drake's name. This scholarship will be awarded each year to a child in need of assistance to participate in basketball. Golden Basketball has also created a “Hustle Award” in Drake’s name. An award will be given to one boy and one girl and winners will be announced soon. 2017: The award winners for 2017 were Georgia Eakins and Brandon Shull. 5) Maple Grove has created a special bench that was placed on the playground at the school in Drake's name. Because Drake was so inclusive of other children, this bench will be a place for children to come together and build friendships.